Self Myofacial Release (SMR) is a technique used to assist in the alleviation of muscle, fascial and joint imbalances. Imbalances such as tightness, trigger points or muscular weakness or one-sided dominance tend to happen due to a multitude of reasons such as sitting or standing for prolonged periods of time, overuse, activities dominated by one side of the body and/or injury. They may eventually lead to complications and potentially pain or further injury. There are various tools used to prevent and treat imbalances in conjunction with proper form, stretches, bodywork and other therapies. Foam rollers, tennis or lacrosse balls and other specialty items are usually found in gyms, sports shops, yoga studios or therapist’s offices. Utilize SMR techniques before and after your workouts. Pre-workout 5 to 10 total minutes is adequate while post-workout longer SMR sessions are beneficial. 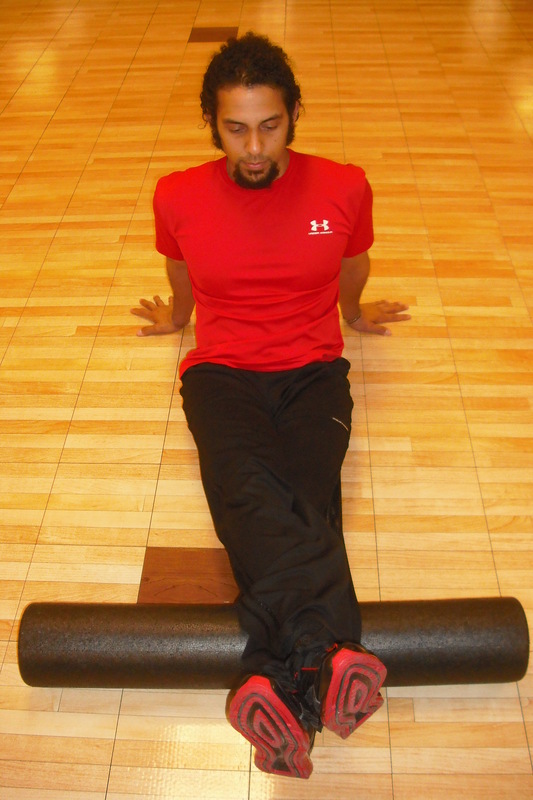 Place the area of concern over a foam roller or similar tool. Remember to incorporate appropriate posture even while lying on your side. Roll back and forth over the area to increase circulation and “feel for” tight spots. Reassess the area you worked on. Repeat as necessary. ‘Roll’ on the opposite limb and compare. Common areas that benefit from using this techniques include but are not limited to the calves, hip flexors (quads), iliotibial (IT) band, piriformis (glute area), paraspinals (parallel to the spine) latissimus dorsi (lats/”wings”…), rotator cuff and pectoral muscles. Avoid rolling directly on joints, bones and especially your spine. By regularly incorporating SMR techniques into your daily routine you will become more limber, recover from workouts more efficiently and reduce your chances of injuries due to tight fascia.